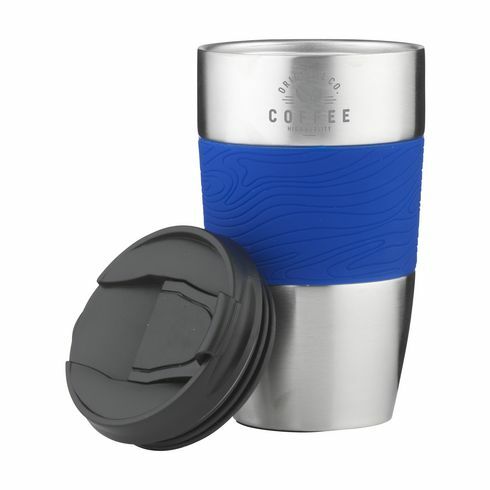 Double-walled, leak-proof stainless steel thermo mug with • screw cap • click opening • rubber grip with outstanding design • non-slip base. Keeps your drink at the right temperature for a longer period of time. Capacity 415 ml. Each piece in a box.